What started as a cotton hauling business during the presidency of Calvin Coolidge has evolved into a community-based and customer-focused heating oil business. 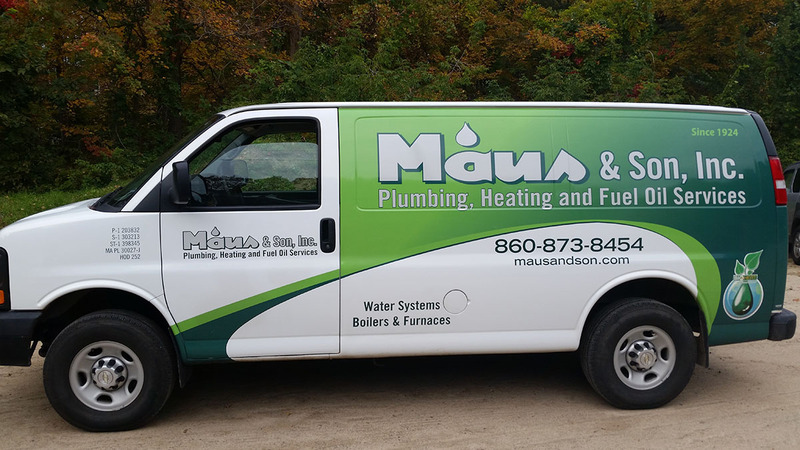 Maus & Son has changed with the times, but has never wavered in its commitment to deliver quality products and services. It is this dedication that has propelled us through the generations and has defined our company. When you interact with a Maus & Son employee, you will recognize the difference between the status quo and real dedication to customer service. Our service technicians and expert plumbers have real-world experience and technical know-how. Our fuel oil delivery vehicles are professionally maintained and our drivers are courteous and customer focused. Our customer service staff fulfills our company’s mission through every interaction with our customers. A company’s true measure of culture and value always shines through the prism of leadership. In 2009, Dan Maus was honored as “Humanitarian of East Haddam.” For over 50 years Dan had given selflessly to the community and set an example of the highest order. At Maus & Son, we are proud of our heritage, our leadership, and our employees. Now in the 4th generation of family leadership, each generation draws on examples set by its predecessor. “Service and commitment to customers” is more than just a catchphrase; it’s a way of life.